Adobe Creative Cloud, Toon Boom Animate, and Blender are some of the software applications we use to create unique and eye-catching graphic designs, with Creative Cloud containing After Effects, Animate, Dimension, Photoshop, & Illustrator. 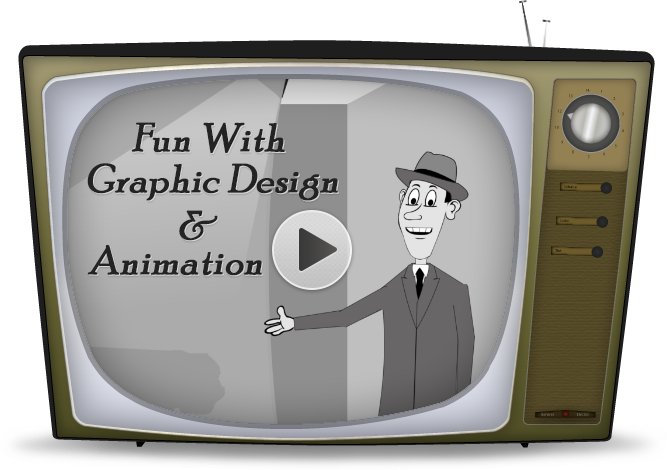 Quality web graphics are without a doubt a major component in the aesthetics of a site's design. They separate, enhance and compliment color schemes, define ideas and functionality, and generate emotion. From our point of view, the term "Professional Web Designs" implies a high level of expertise in graphic design as well. We believe you cannot separate the two. We also believe that, regardless of the education or sophistication of the audience, a well-designed website is more likely to be noticed, read, and understood. This is how we approach incorporating graphics into our site layouts. We have the tools and the skills to meet any challenge that may arise during the course of developing your web presence, including your company brand. We welcome your smaller projects too. See our portfolio for examples of graphics we've created over the years - either during the process of working on various design projects for our clients, or while working on our own personal projects.